Foster kept out a looping header from the Dutch forward before half-time and pulled off a superb save to keep the score goalless with time running out as Locadia aimed for the top corner with another aerial chance. 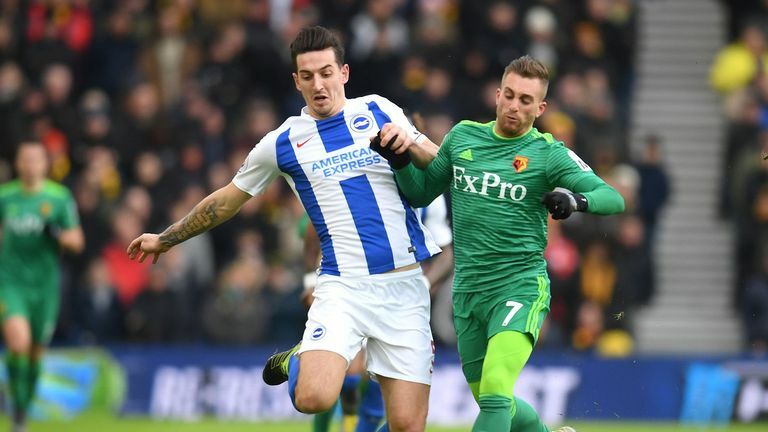 Javi Gracia's side had Foster to thank once again in the final minutes when substitute Florin Andone raced through on goal, but was denied by a strong block from the visiting goalkeeper. 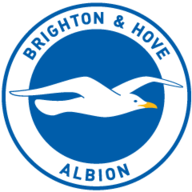 Brighton: Ryan (6), Montoya (6), Duffy (6), Dunk (7), Bong (6), Gross (7), Propper (7), Bissouma (6), March (7), Murray (6), Locadia (7). 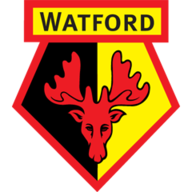 Watford: Foster (8), Janmaat (7), Mariappa (7), Cathcart (7), Holebas (6), Hughes (5), Capoue (6), Cleverley (6), Sema (4), Deeney (5), Deulofeu (4). Brighton manager Chris Hughton gave the 11 who had started their 4-2 defeat at Fulham on Tuesday a chance to redeem themselves against Watford, but they rarely looked like clicking into gear on the home soil where they have performed so well. It took some 40 minutes for the first shot on target to arrive from either side, when Pascal Gross' cross from the right was headed back across goal by Locadia, but was palmed behind acrobatically by Foster. After half-time, Watford briefly looked like taking control when Will Hughes' shot, which was going wide, was held by Mat Ryan, before Ken Sema could not keep a header down from six yards out. But Brighton had the better of the final half hour in an attritional performance with Locadia again testing Foster, who leapt to his right to keep out another header which looked to be just creeping in under the bar. Brighton were forced into a late change when Dale Stephens was injured in the warm-up, and Yves Bissouma took his place in midfield. Watford's only change was also down to injury, with Roberto Pereyra ruled out by a knock and Ken Sema starting on the left of midfield. In the final minutes, Brighton nearly forced an opener when Solly March's ball over the top found Andone, but Foster was quick off his line to spread himself and keep out his effort from the edge of the area. This was Watford manager Javier Gracia's 39th Premier League game in charge of the Hornets, more than any other manager for the club in the competition. Watford failed to direct a single shot on target for the only the second time in their last 53 Premier League games, and for the first time in 11 in the competition. Brighton have never lost a Premier League game in February (W2 D2), one of just two teams to be unbeaten in a single month in the competition's history (Blackpool W2 D0 L0 in December). Two of Watford's last three Premier League games have finished goalless, as many as in their previous 57 in the competition. Brighton have won just one of their last 10 Premier League games, drawing three and losing six. Foster's performance was one of few to get you off your seat at the Amex Stadium. He became the record holder for all-time Premier League saves during Watford's midweek defeat at Tottenham, and he pulled off three fine ones here. The pick of his stops was arguably his reaction save to keep out Locadia's second-half header, and he can be very pleased with his afternoon's work. 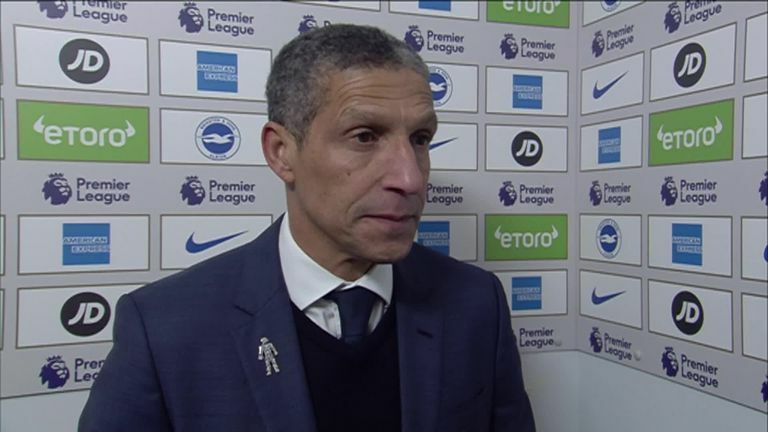 Chris Hughton: "The only frustration is that it's a game we should have won. I thought we were very good, we asked for a reaction and I probably couldn't have asked for any more. "We had a lot of shots, the 'keeper has had to make three very good saves, and we can't ask any more than that but it's just that little bit of quality let us down. But with regards to commitment, I thought we were very good. 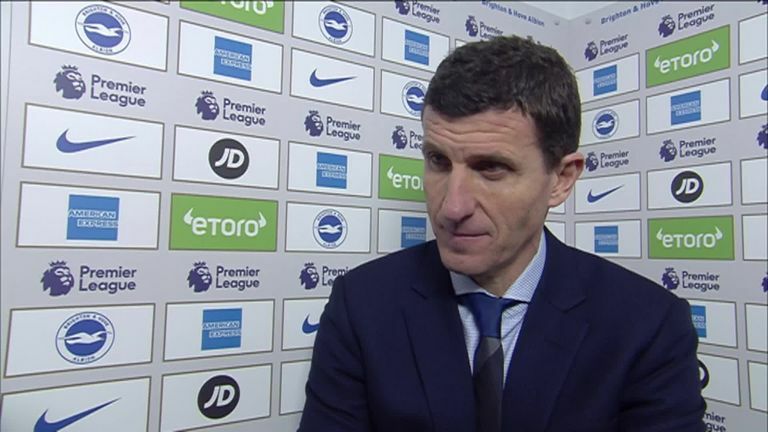 Javi Gracia: "You always want to win to get three points, but after the game I think one point is good. Maybe today we have played well only defensively, and offensively we need to improve. We could play better, I think we need to improve for the next game." Brighton travel to West Brom in their FA Cup fourth-round replay on Wednesday night at 8.05pm. Watford, whose passage to the fifth round is already sealed, host former manager Marco Silva and his Everton side next Saturday at 3pm.